Rules: Pay 2 to complete this quest. ;Reward: Reveal the top four cards of your deck. 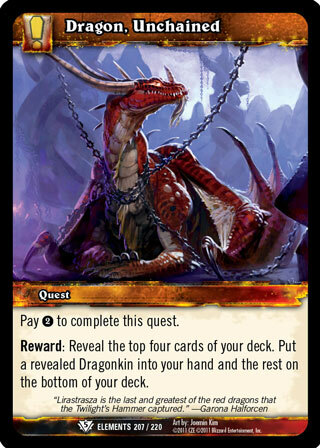 Put a revealed Dragonkin into your hand and the rest on the bottom of your deck.